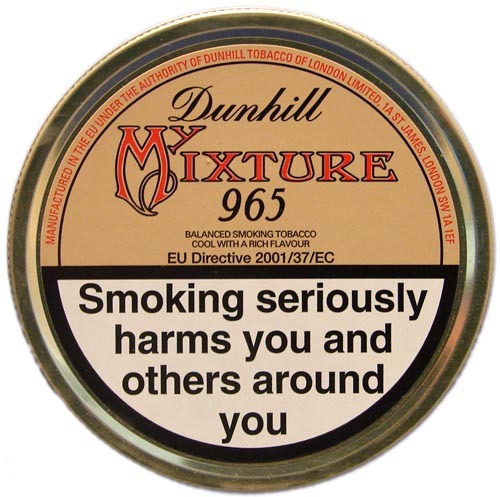 Dunhill My Mixture 965 is for the connoisseurs of full bodied tobacco. Choicest small latakia imparts a rich nutty flavour and coolness. Macedonia bright is added for sweetness. Brown Cavendish completes this blend beloved by English mixture aficionados.